The economy is tight, yet it’s still back-to-school time! I think a good sale would help, don’t you?! So pass the word along, because no sale lasts very long! Get 50% off all downloads on my website! 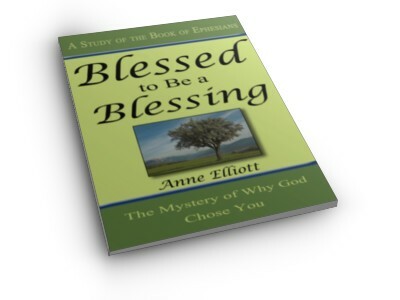 Why did God create you, and what special job does He have for you to fulfill? 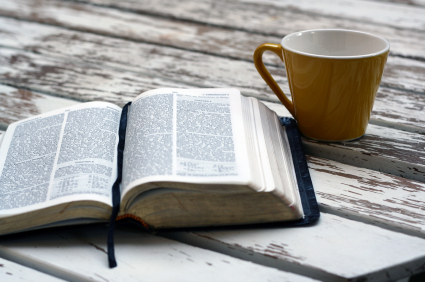 Find out as we study verse-by-verse through the book of Ephesians. So much to teach, so little time… Where should a wise mother start? 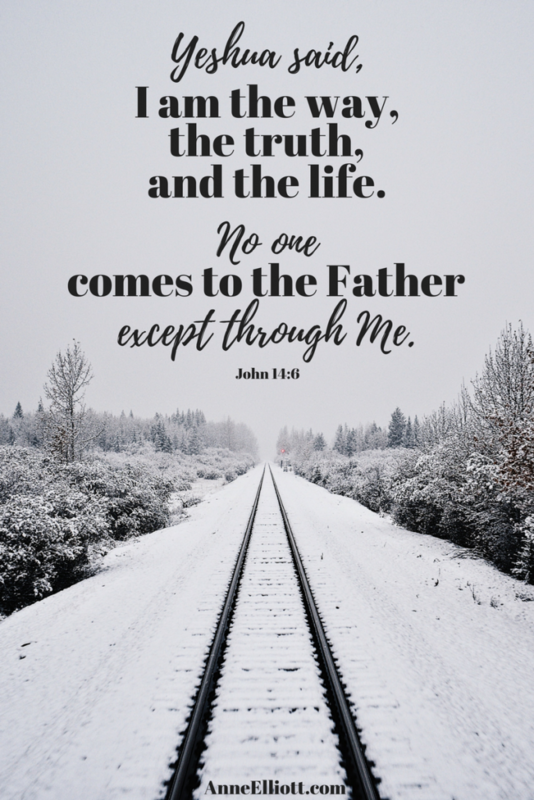 Homeschool Bible Curriculum… or Bible-reading schedule for any family! A set of simple lesson plans that can walk you through this often neglected subject. It can feel like there are unlimited homeschooling choices, yet you don’t have unlimited time to research, nor do you have unlimited money to make a bunch of mistakes. Here are the choices Anne would make for her family. 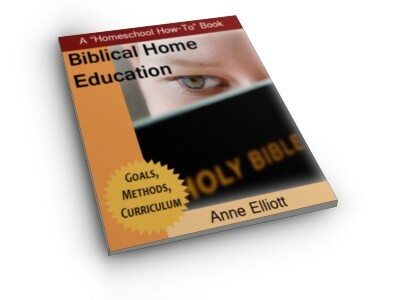 With countless choices of homeschooling curriculum on the market, it can be extremely difficult to evaluate which ones are biblical — and which ones aren’t! This 138-page guide to goals, method, and curriculum is filled with practical advice to help you know what the Bible has to say about educating your children. 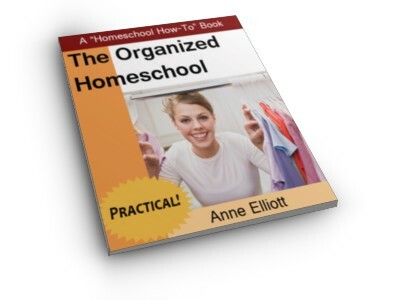 Homeschooling is like adding a full-time job to a mom’s already busy day. When the schedule gets filled, we often struggle with managing clutter, laundry, and everything else. This 83-page guide to home organization is filled with practical advice to help you set up a realistic routine for your day. I believe that adrenal fatigue and hormone imbalances are rampant among mothers. I will show you why I believe this is happening and how this fatigue affects the glands of your body. Best of all, I’ll give you lots of practical tips to help you get your energy back! As always, I highly value your satisfaction, so I invite you to purchase our books, curriculum, and products at no risk to you. That’s right! 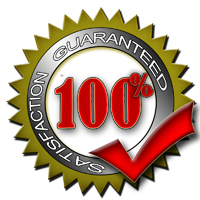 We offer a 100%, no-questions-asked, money-back guarantee. If you’re not completely happy, just let me know — and you’ll receive a prompt and courteous refund of your purchase. So get ready for your new school year now. These prices are only good until Thursday night!